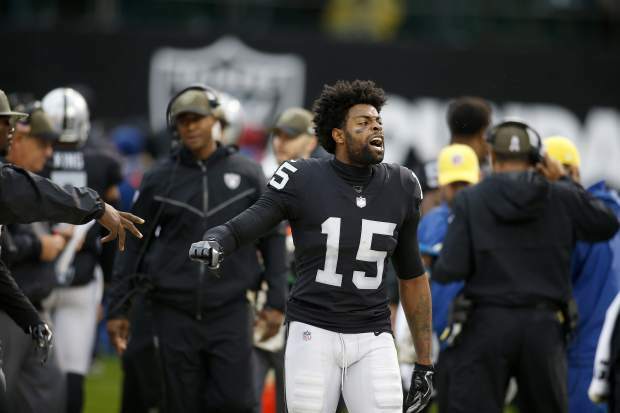 OAKLAND, Calif. — With one starting receiver ejected, a second hurt and Oakland’s once 21-point lead down to seven, Derek Carr dropped back to pass with a chance to seal a victory with a third-down conversion. 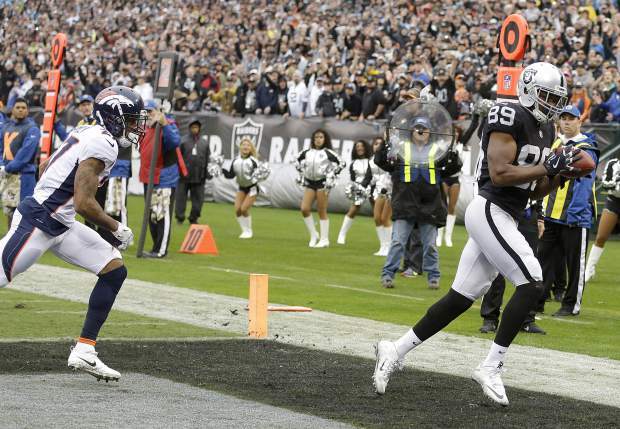 Carr lofted the ball into a void in the defense and Cordarrelle Patterson ran under it and rumbled 54 yards for a first down that gave the Raiders a 21-14 victory over the Denver Broncos on Sunday, a day that will be remembered most for a brawl between Michael Crabtree and Aqib Talib that led to three ejections. 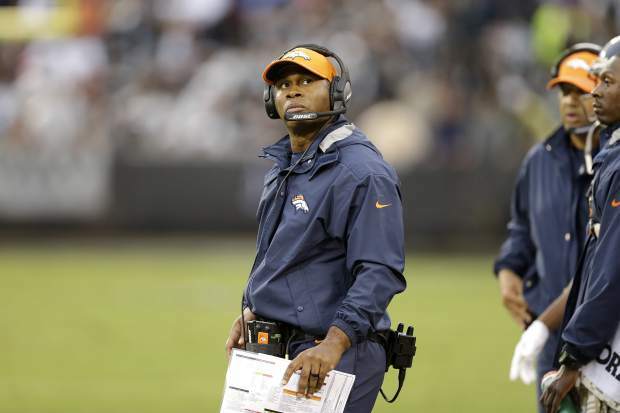 The story coming into the game was about the upheaval for the two teams after Denver (3-8) fired offensive coordinator Mike McCoy and made another quarterback change, and Oakland (5-6) fired defensive coordinator Ken Norton Jr . But the fight between Crabtree and Talib ended up overshadowing the recent disarray. 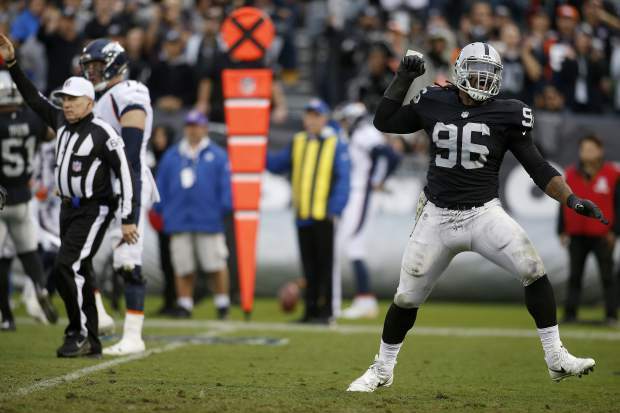 The Raiders recorded their long-awaited first interception of the season in their first game under defensive play-caller John Pagano and the Broncos lost seven games in a row for the first time in 50 years . 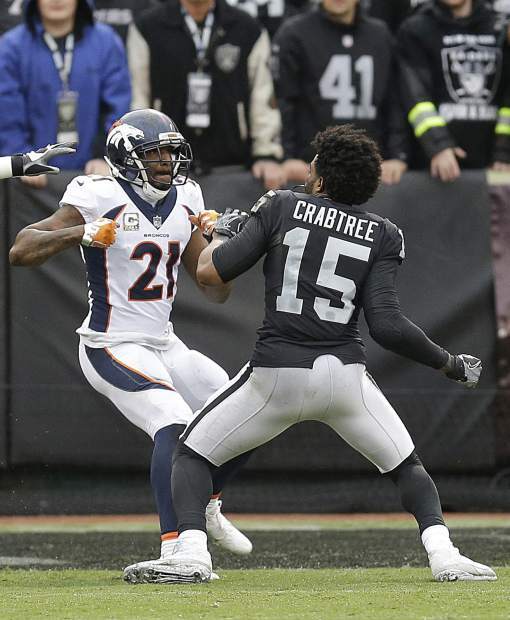 The fight was a continuation of a dispute that started last season when Talib ripped Crabtree’s chain off during the season finale. 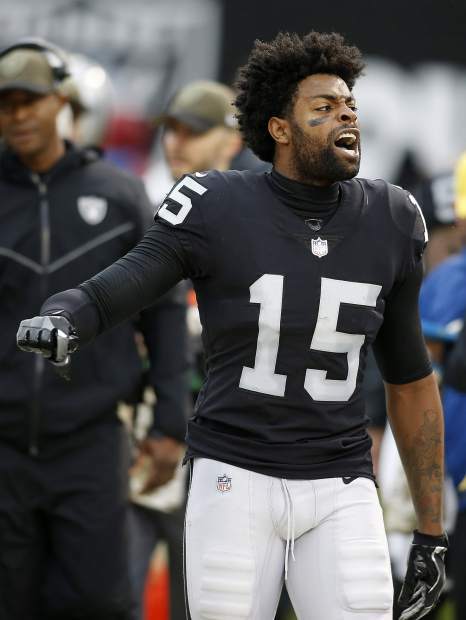 Crabtree missed the first game between the teams this year but wasted little time seeking revenge. On the second play of Oakland’s second drive, Crabtree aggressively blocked Talib on a running play and drove him to the ground on the Broncos sideline. 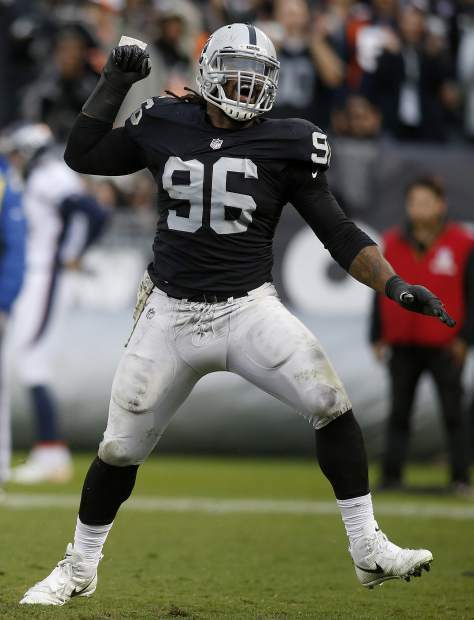 Talib ripped Crabtree’s chain off his neck while they were tangled up, and a brawl ensued . 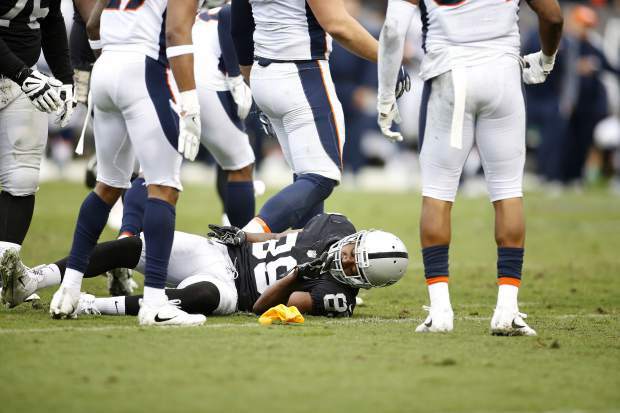 Several Broncos players surrounded Crabtree as he tussled with Talib before his Raiders teammates could come to his assistance. Guard Gabe Jackson pushed an official while trying to join in and got ejected for his actions, along with Crabtree and Talib. 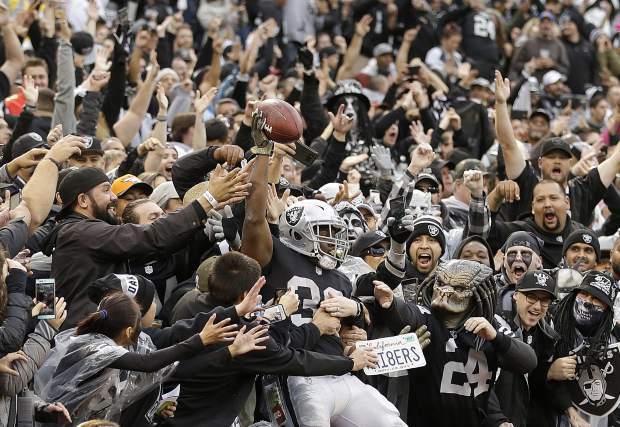 The Raiders then dominated on the field after ending the longest season-opening interception drought in NFL history. With the Broncos at the 1, Paxton Lynch looked for tight end Virgil Green in the end zone. 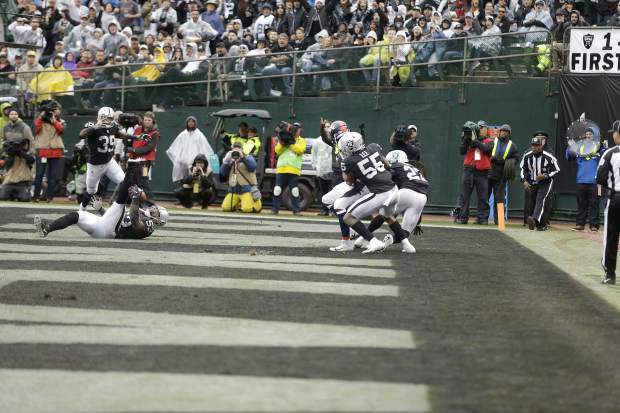 The ball was tipped by NaVorro Bowman, bounced off Green, deflected off Raiders safety Reggie Nelson before landing in Bowman’s arms as he was lying on the turf for Oakland’s first interception. 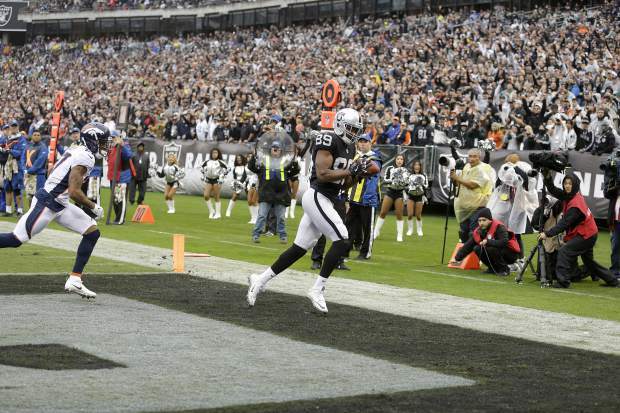 Oakland drove 80 yards and scored on Carr’s 9-yard touchdown pass to Amari Cooper . 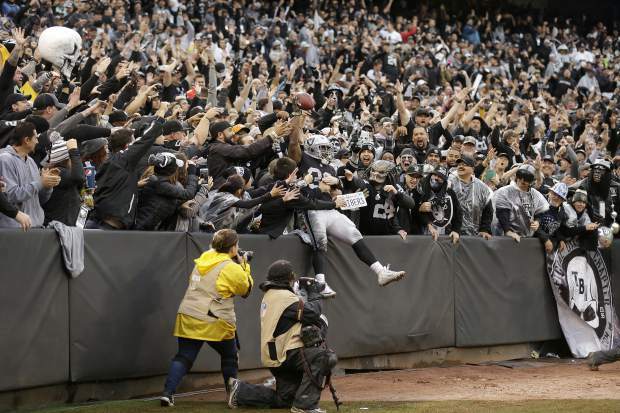 Marshawn Lynch added a 1-yard run to make it 14-0 and Carr threw his second TD to Jalen Richard in the third quarter to add to the lead. Lynch’s first start of the season was a rough one. He completed 9 of 14 passes for 41 yards and an interception against a defense that entered the game on pace to allow the second-highest completion percentage and passer rating in NFL history. Lynch also was sacked four times . He left the game in the third quarter after injuring his ankle on a rollout. 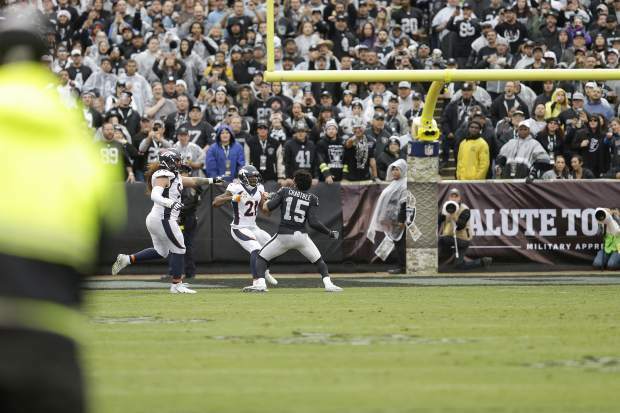 The Broncos got their first scores under new coordinator Bill Musgrave when Trevor Siemian threw TD passes to Cody Latimer and Bennie Fowler in the fourth quarter. 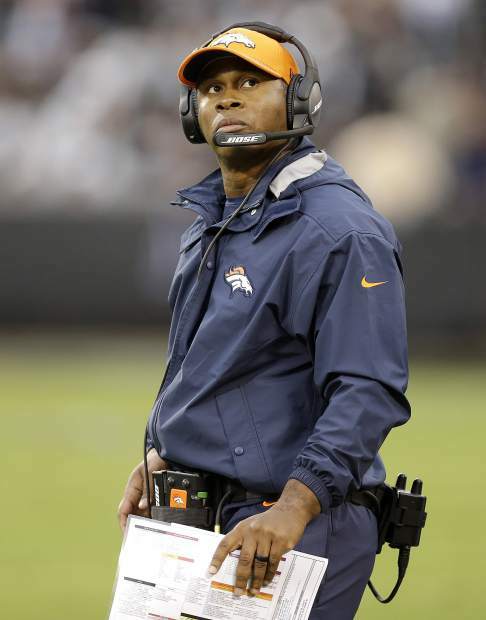 Coach Vance Joseph wouldn’t commit to a quarterback for next week. The Broncos appeared to strike first when Lynch found Devontae Booker on a pass from the 20-yard line that was initially ruled a touchdown. But after a replay review, Booker was ruled down at the 1. 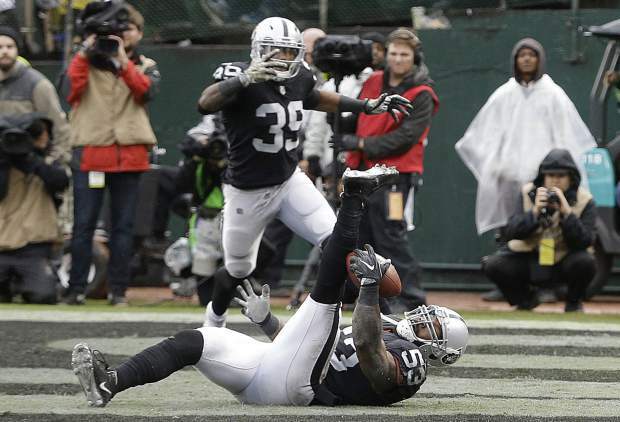 Two plays later, Bowman came up with the interception and the Raiders drove down for the opening touchdown. Broncos DE Derek Wolfe left in the first quarter with a neck injury and DL Domata Peko left with a left knee injury. 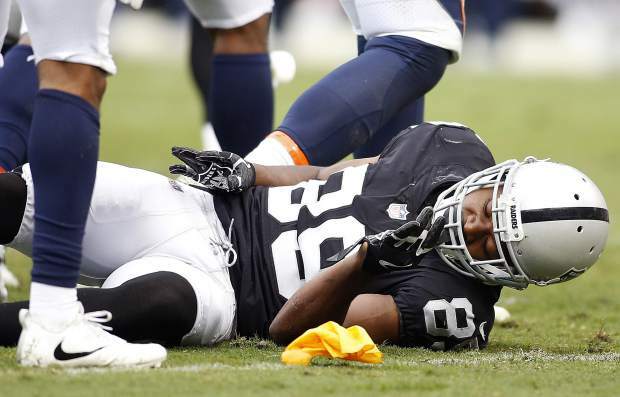 Cooper left with a concussion in the first half after being hurt on an illegal hit by Denver safety Darian Stewart. Cooper was down on the turf for several minutes before leaving. Stewart was penalized on the play. Broncos: Visit Miami on Sunday. Raiders: Host Giants on Sunday.